Read on at lilies, sparrows and grass. Click in the website name, "lilies, sparrows and grass", at the end of the above verse to continue reading D. G. Vacha's recently posted sunset poem. 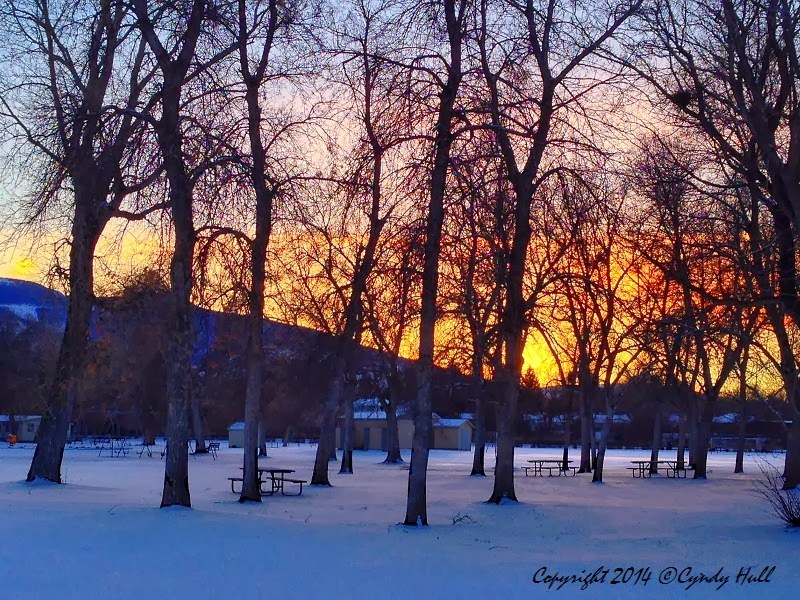 Her imagery evokes so much beyond the poignant wonder I felt looking at this end-of-day scene in Livingston, Montana. My new desktop background. Thanks for sharing the beauty. Well, hopefully you'll get to enjoy a summer version of this view on your next Montana trip.